NEW! Complies with ASTM F2208. 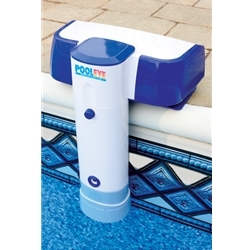 The PoolEye PE23 Pool Alarm is an advanced immersion alarm that reads surface and subsurface waves to protect against unauthorized pool entry. It uses a sophisticated program to analyze the disturbance, and alarms in appropriate circumstances, remaining silent in avoiding false alarms.